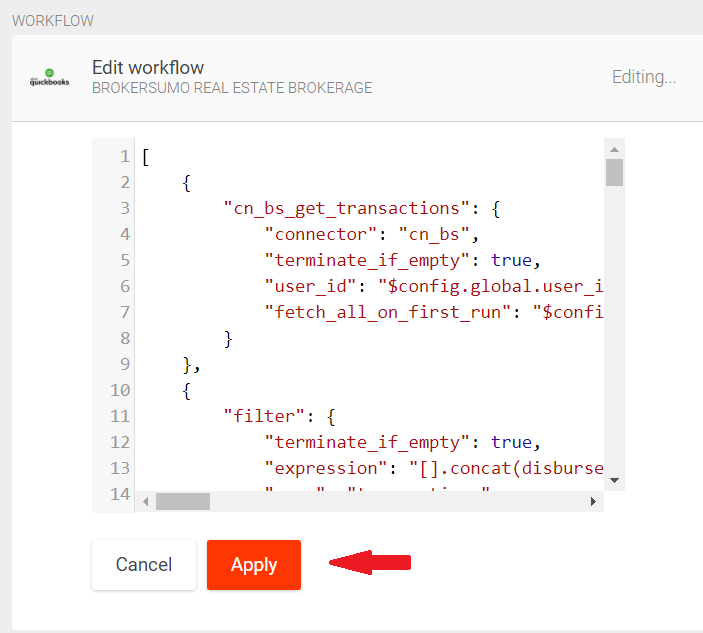 To set up your broker income workflows follow the steps below for which workflow you would like to use. 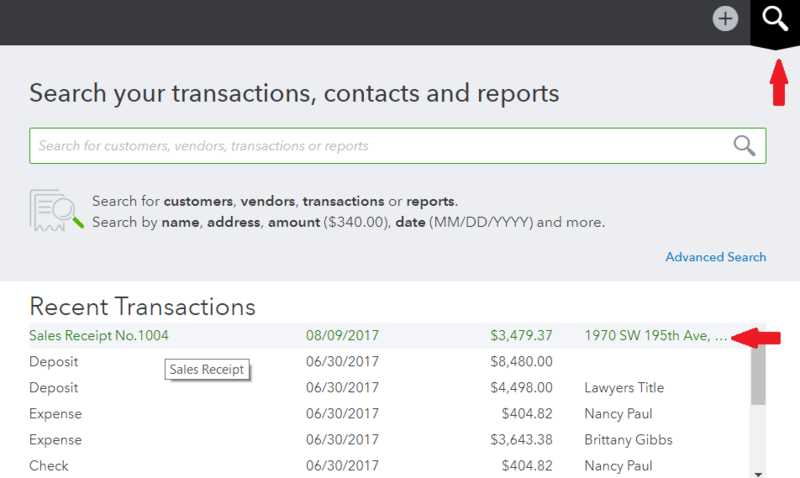 The workflow creates a sales receipt transaction in QuickBooks Online based on your brokerage gross in BrokerSumo. The transaction"s memo field filled in with the transaction property address. The workflow will try to find the Names of the commission items from BrokerSumo, and match them with the Item names of the product/services in QuickBooks. If it is unable to find a match, QuickBooks will use a default item. For a gross commission the product/services from the workflow configuration will be used. Customers will be automatically created in QuickBooks as needed. 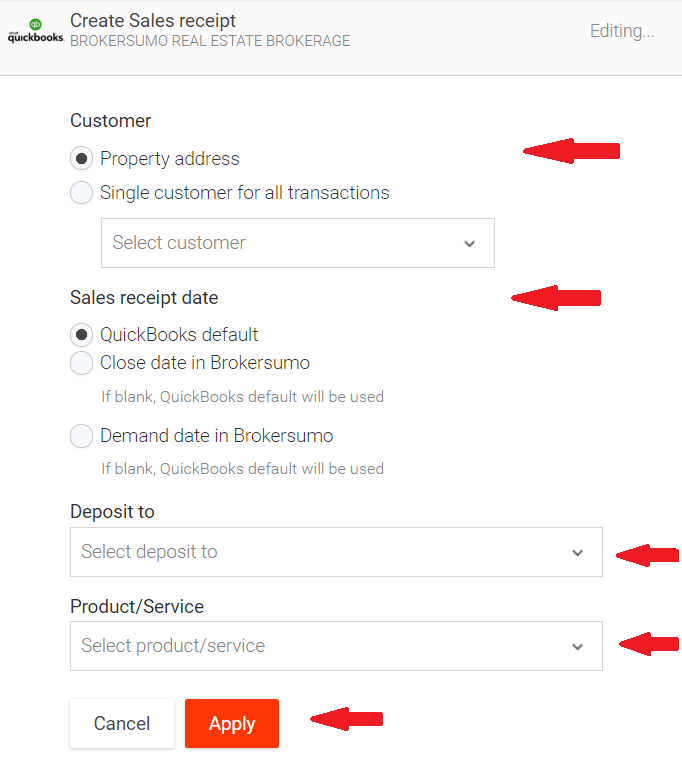 Deleting records in BrokerSumo does not delete the created transactions in QuickBooks. The workflow runs on demand, when data is posted by BrokerSumo. To sync to Quickbooks, after the transaction is closed you click on the sync to Quickbooks button. Then all your disbursement information is synced to your Quickbooks. Below is the commission disbursement final breakdown from Brokersumo for the brokerage on the disbursement. You can search your recently synced items in Quickbooks by clicking on the search icon. You will see your sales receipt from the disbursement for the brokerage, including any fees taken off the top and mapped to the correct account.